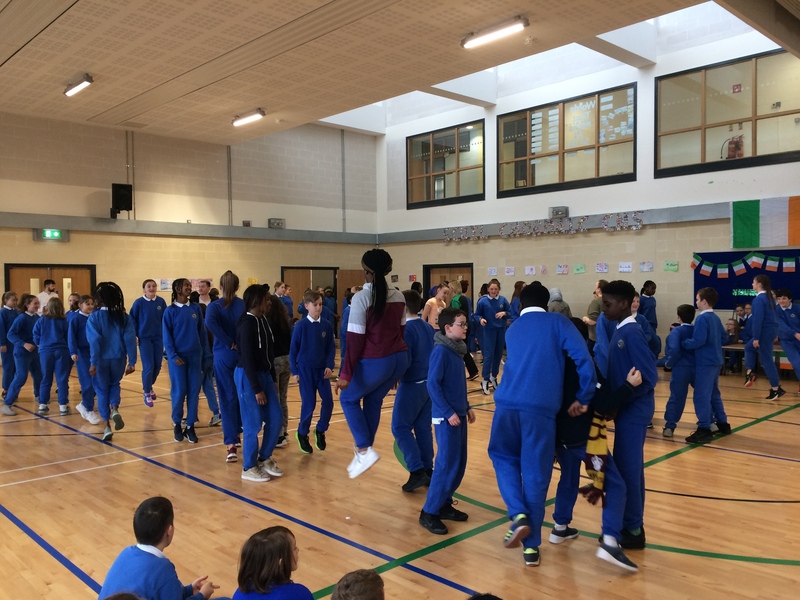 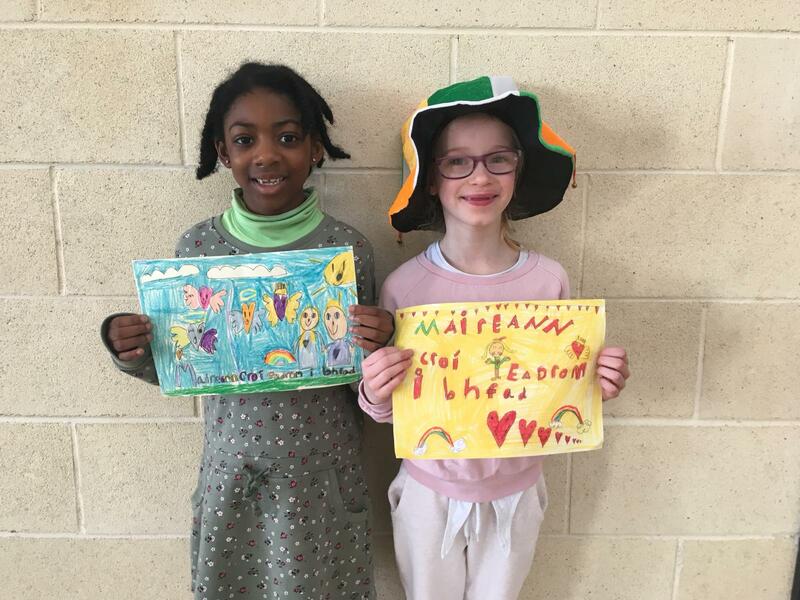 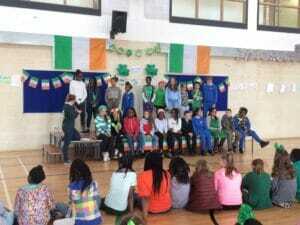 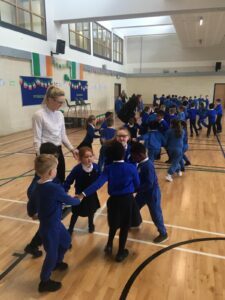 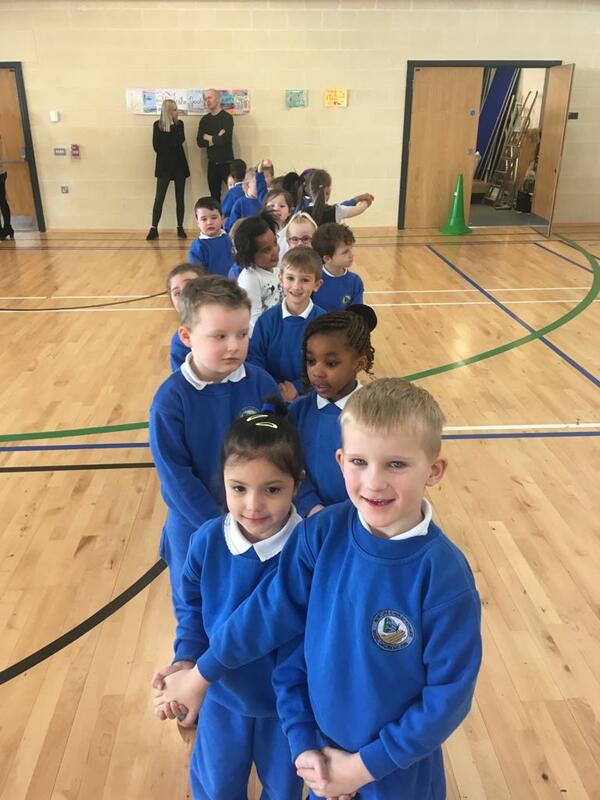 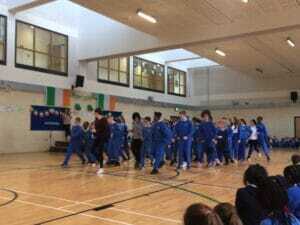 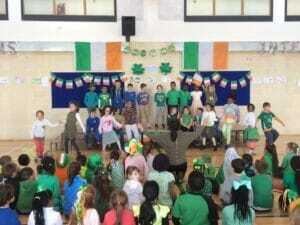 All the pupils had lots of fun celebrating Seachtain na Gaeilge this year. 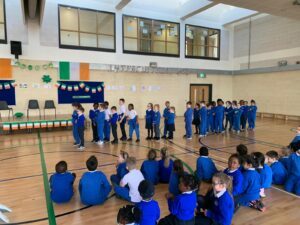 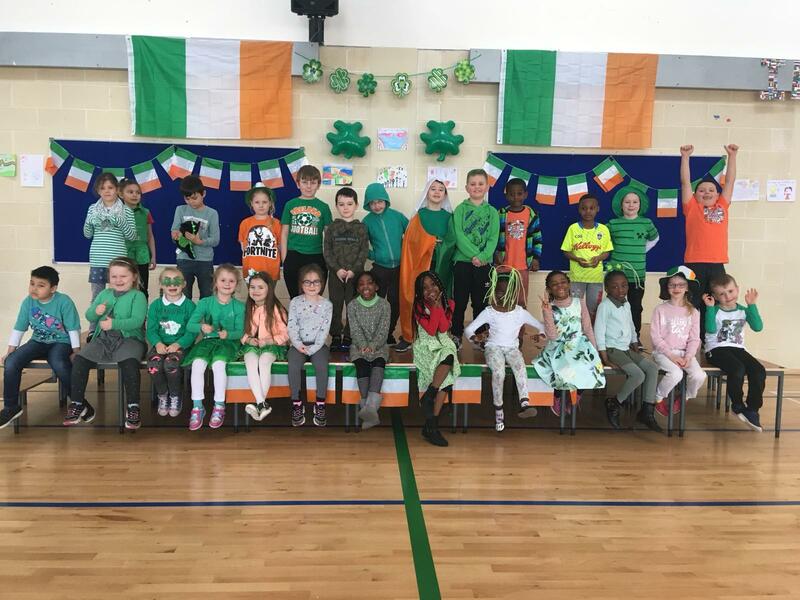 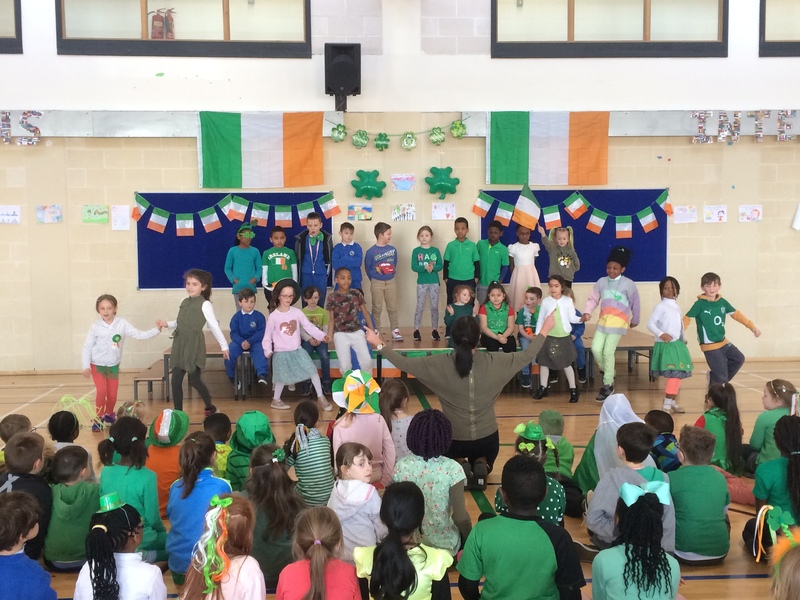 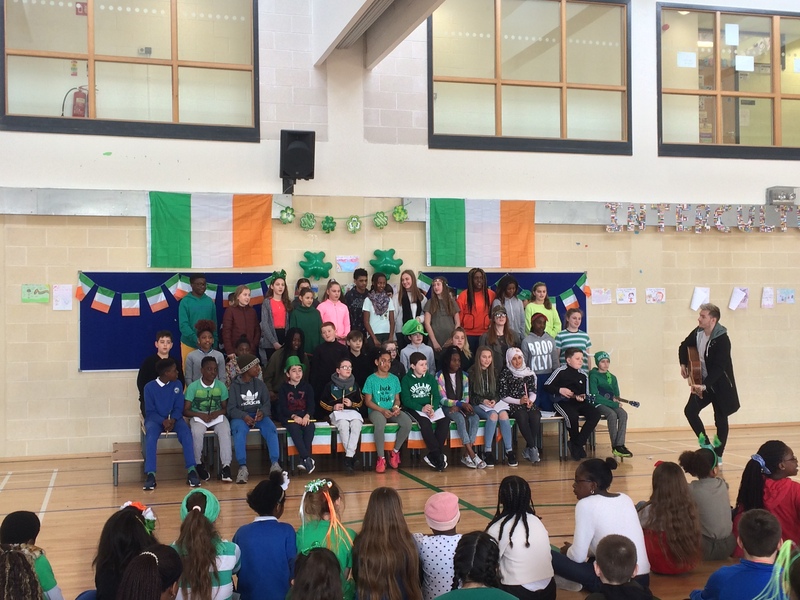 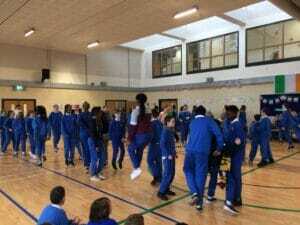 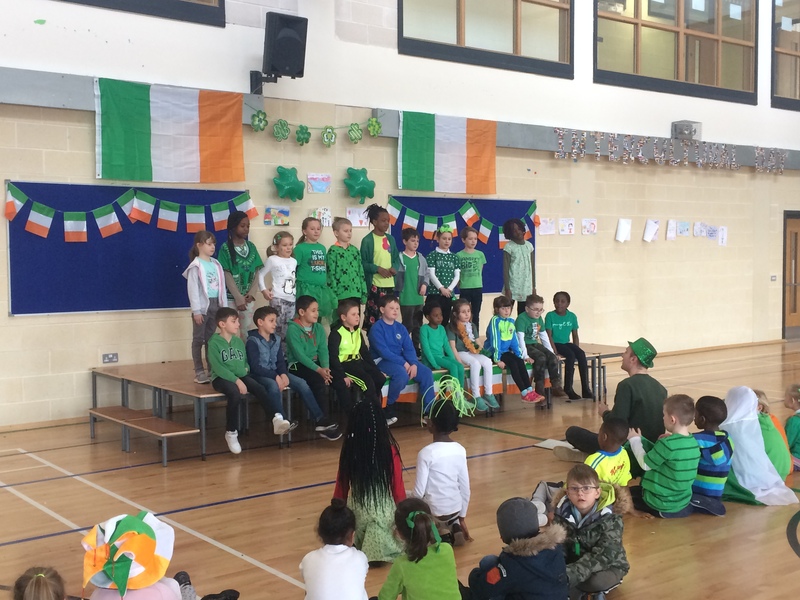 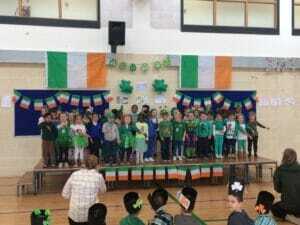 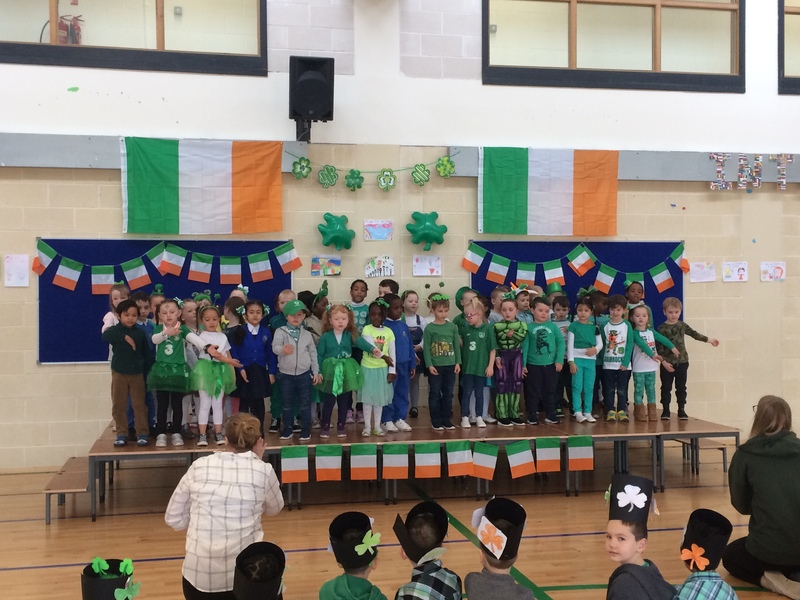 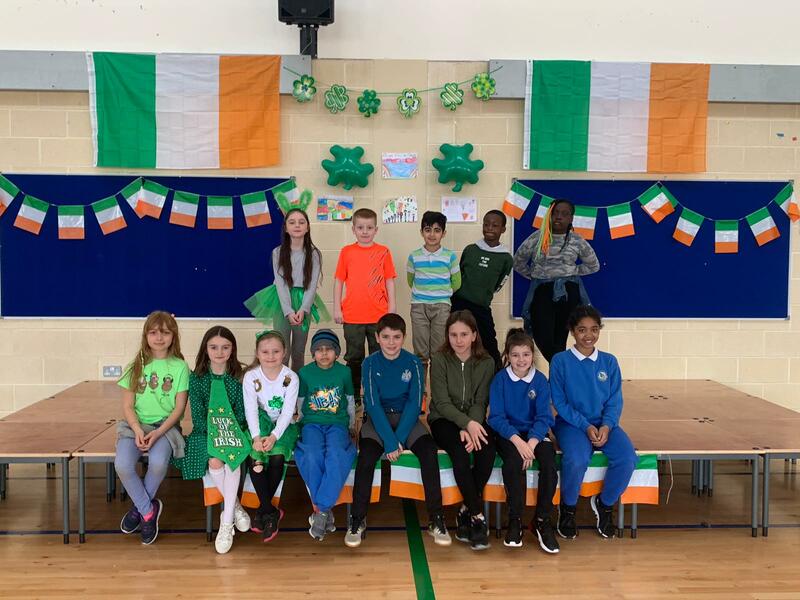 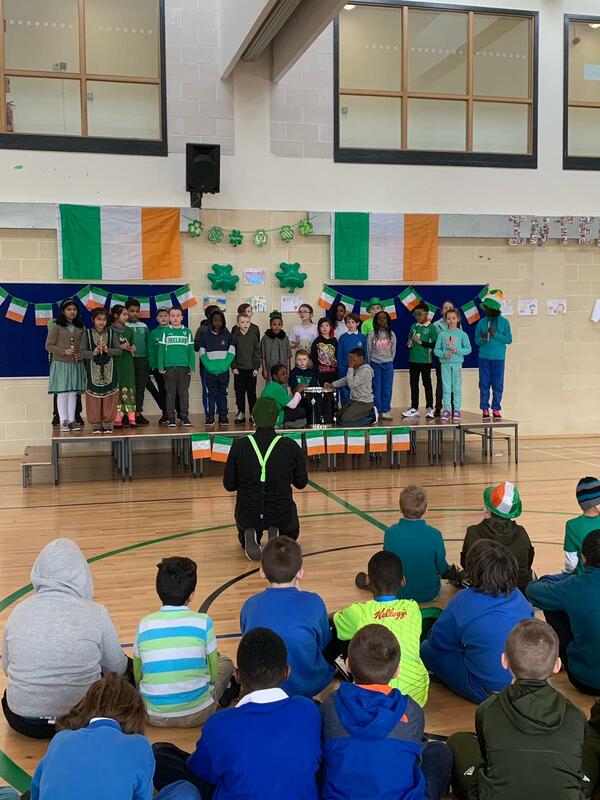 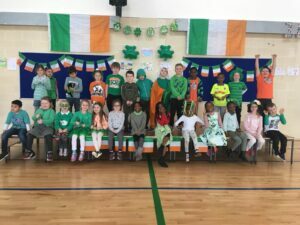 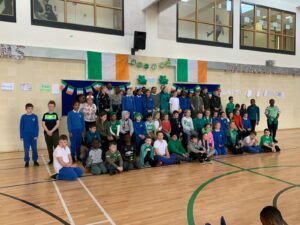 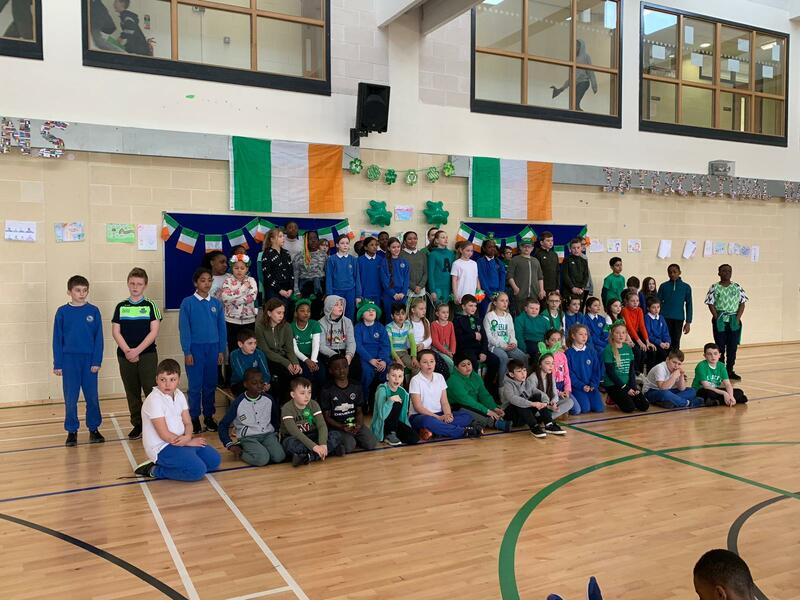 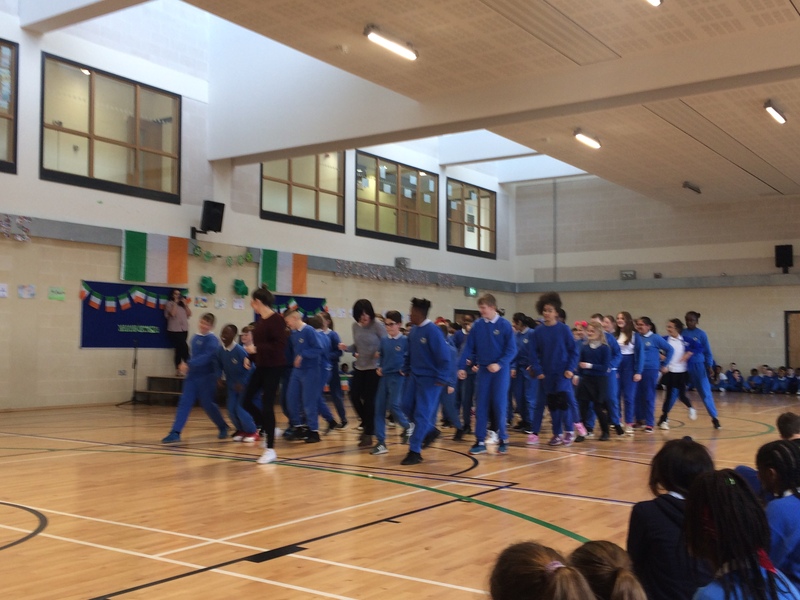 Among the events organised were: céilís, concerts, news on the intercom in Irish, a phrase of the day, seanfhocail art competition and the teaching of art/PE through Irish. 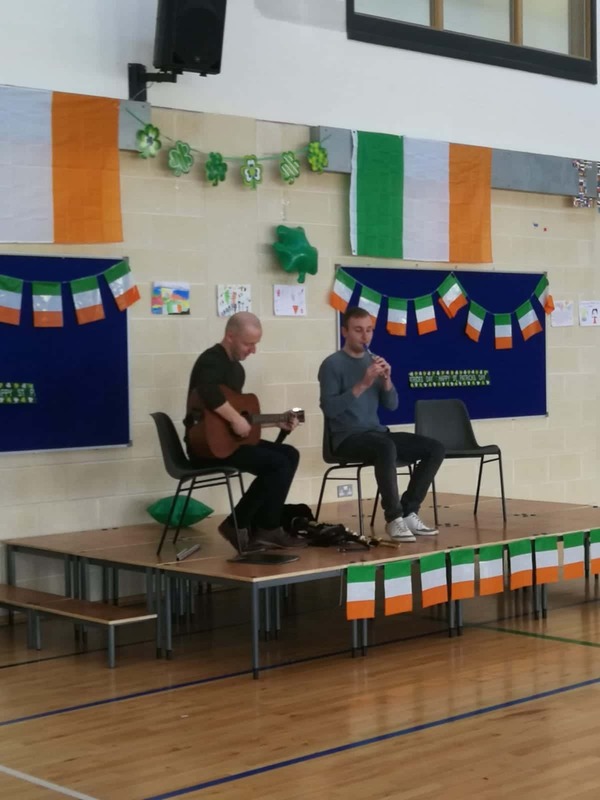 The photos below are just a snapshot of the craic agus ceol that we had during the week! 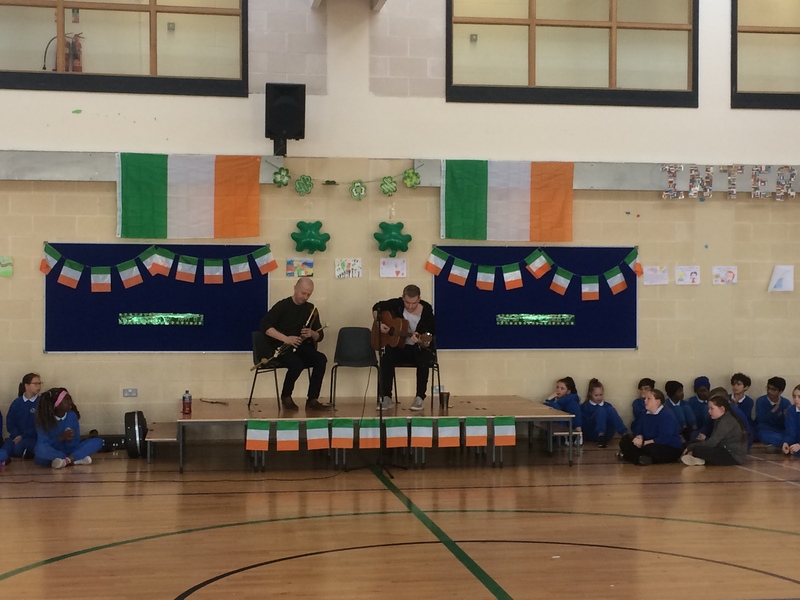 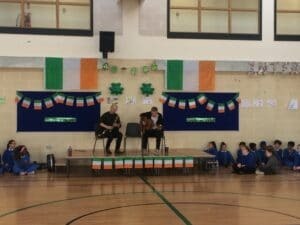 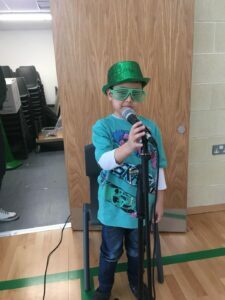 Some of our pupils proved to be excellent concert presenters and our talented teachers played some traditional Irish music for the classes too!